In 1946, Paramahansa Yogananda, one of modern India's greatest yogis, revealed in his classic "Autobiography of a Yogi," the existence of a Christ-like saint, an immortal yogi, Mahavatar Babaji. Yogananda related how Babaji had for centuries lived in the Himalayas guiding many spiritual teachers at a distance, usually without their even knowing it. Babaji was a great siddha, one who had overcome ordinary human limitations, and who worked silently, behind the scenes for the spiritual evolution of all humanity. 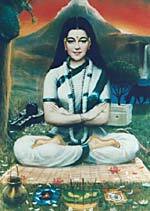 Paramahansa Yogananda also revealed that it was Babaji who taught a powerful series of yogic techniques, know as "Kriya Yoga," to Lahiri Mahasaya, around 1861, and who subsequently initiated many others, including Yogananda`s own Christ-like guru, Sri Yukteswar, some thirty years later. 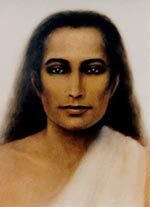 Yogananda spent 10 years with his guru before Babaji himself appeared to him, and directed him to bring the sacred science of Kriya to the West. Yogananda fulfilled this sacred mission from 1920 to 1952, when he left his body and attained the yogic state of mahasamadhi. As a final tribute to the efficacy of Kriya Yoga and the blessings of his lineage, the body of Yogananda did not deteriorate during the 21 days it lay exposed, before being interred in a crypt in Los Angeles. March 7, 2002 marked the 50th anniversary of Yogananda's remarkable passing. When his remains were transferred to a permanent "samadhi" shrine in March, 2002, millions around the world remembered with gratitude what Yogananda's legacy has given to them. In South India, Babaji had been preparing, since 1942, two souls for the task of disseminating his Kriya Yoga: S.A.A. Ramaiah, a young graduate student in geology at the University of Madras and V.T. Neelakantan, a famous journalist, and close student of Annie Besant, President of the Theosophical Society and mentor of Krishnamurti. Babaji appeared to each of them independently and then brought them together in order to work for his Mission. In 1952 and 1953 Babaji dictated three books to V.T.Neelakantan: "The Voice of Babaji and Mysticism Unlocked," "Babaji's Masterkey to All Ills," and "Babaji's Death of Death." Babaji revealed to them his origins, his tradition, and his Kriya Yoga. They founded on October 17, 1952, at the request of Babaji, a new organization, "Kriya Babaji Sangah," dedicated to the teaching of Babaji's Kriya Yoga. The books created a sensation at the time of their publication and distribution throughout India. The SRF (Self Realization Fellowship) attempted to have them and the Kriya Babaji Sangah suppressed, and it took the intervention of the then Prime Minister of India, Pandit Nehru, who was a friend of V.T. Neelakantan, to end their efforts. In 2003, Babaji's Kriya Yoga Order of Acharyas reprinted these three books in one volume called "The Voice of Babaji." It is in the "Masterkey of All Ills," that Babaji reveals his answer to the question "Who Am I". In essence, this reveals, that when we know ultimately who we are, we will know who Babaji is. That is, Babaji does not identify with a limited human personality, or series of life events, or even his divinely transformed body. However, in writings he also revealed for the first time a number of precious details about his life story, in order to outline for us a path to Self-realization, which anyone may aspire to. These details have been subsequently documented in the book "Babaji and the 18 Siddha Kriya Yoga Tradition." Babaji was given the name "Nagaraj," which means "serpent king," referring to "kundalini," our great divine potential power and consciousness. He was born on the 30th day of November 203 A.D., in a small coastal village now known as Parangipettai, in Tamil Nadu, India, near where the Cauvery River flows into the Indian Ocean. His birth coincided with the ascendancy (Nakshatra) of the star of Rohini, under which Krishna was also born. The birth took place during the celebration of Kartikai Deepam, the Festival of Lights, the night before the new moon during the Tamil month of Kartikai. His parents were Nambudri Brahmins who had immigrated there from the Malabar coast on the western side of south India. His father was the priest in the Shiva temple of this village, which is today a temple dedicated to Muruga, Shiva's son. At the age of 5, Nagaraj was kidnapped by a trader and taken as a slave to what is today Calcutta. A rich merchant purchased him, only to give him his freedom. He joined a small band of wandering monks, and with them became learned in the sacred religious and philosophical literature of India. However, he was not satisfied. Hearing of the existence of a great siddha, or perfected master, named Agastyar, in the south, he made a pilgrimage to the sacred temple of Katirgama, near the southern most tip of Ceylon, the large island just south of peninsular India. There he met a disciple of Agastyar, whose name was Boganathar. He studied "dhyana," or meditation, intensively and "Siddhantham," the philosophy of the Siddhas, with Boganathar for four years. He experienced "sarvihelpa samadhi," or cognitive absorption, and had the vision of Lord Muruga, the deity of the Katirgama temple. At the age of 15, Boganathar sent him to his own guru, the legendary Agastyar, who was know to be living near to Courtrallam, in Tamil Nadu. After performing intensive yogic practices at Courtrallam for 48 days, Agastyar revealed himself, and initiated him into Kriya Kundalini Pranayama, a powerful breathing technique. He directed the boy Nagaraj to go to Badrinath, high in the Himalayas, and to practice all that he had learned, intensively, to become a "siddha." Over the next 18 months, Nagaraj lived alone in a cave practicing the yogic techniques which Boganathar and Agastyar has taught him. In so doing, he surrendered his ego, all the way down to the level of the cells in his body, to the Divine, which descended into him. He became a siddha, one who has surrendered to the power and consciousness of the Divine! His body was no longer subject to the ravages of disease and death. Transformed, as a Mah or great siddha, he dedicated himself to the upliftment of suffering humanity. Since that time, Babaji has continued to guide and inspire some of history`s greatest saints and many spiritual teachers, in the fulfillment of their mission. These include Adi Shankaracharya, the great 9th century A.D. reformer of Hinduism, and Kabir, the 15th century saint beloved by both the Hindus and Muslims. Both are said to have been personally initiated by Babaji, and refer to him in their writings. He has maintained the remarkable appearance of a youth of about 16 years of age. During the 19th century Madame Blavatsky, the founder of the Theosophical Society, identified him as the Matreiya, the living Buddha, or World Teacher for the coming era, described in C.W. Leadbetter's "Masters and the Path." In 1861, Babaji revived Kriya Yoga, which Patanjali refers to in his famous "Yoga-Sutras." Patanjali wrote this classic text of yoga about the 3rd century A.D. In it he defines Kriya Yoga in II.1 as "constant practice (particularly by the cultivation of detachment), self-study and devotion to the Lord." However, along with what Patanjali described as Kriya Yoga, Babaji added the teachings of the tantra, which includes the cultivation of "kundalini," the great potential power and consciousness, through the use of breathing, mantras and devotional practices. His modern synthesis of "Kriya Yoga," includes a rich variety of techniques. During a six month period in 1954, at his ashram near Badrinath, in the Garwhal Himalayas, Babaji initiated S.A.A. Ramaiah into a complete system of 144 Kriyas, or practical techniques, involving postures, breathing, meditation, mantras and devotional techniques. The latter blossomed as a yogi, and began a worldwide mission to bring this system, referred to as "Babaji`s Kriya Yoga" to thousands of aspirants. In 1970 to 1971 he initiated the author, M. Govindan, into all 144 Kriyas. M. Govindan practiced these intensively on the average for eight hours per day for 18 years under Yogi Ramaiah's guidance in India, the USA and Canada. In 1983, Yogi Ramaiah gave him rigorous conditions to fulfill to begin initiating others. After fulfilling these, Babaji himself appeared to Govindan in 1988 and directed him to go and teach His Kriya Yoga to others. Babaji gradually reveals himself to his devotees and disciples, capturing their hearts in various types of personal devotional relationships in which he guides them in their development. His relationship with each of us is unique and according to our individual needs and nature. He is our personal Guru. As our hearts expand our communion with Him culminates with the "universal vision of love," wherein one witnesses Babaji in everything. Fortunately, Babaji has at times come out from behind the veils of anonymity which he finds so useful for his work. Babaji has appeared to Swami Satyaswarananda in the Kumaon Hills of the Himalayas, in the early 1970`s and given him the assignment of translating and publishing the writings of Lahiri Mahasaya. This he has done in a series, the "Sanskrit Classics," from his home in San Diego, California. Shibendu Lahiri, one of the great-grandsons of Lahiri Mahasaya, also claims to have been visited by Babaji, at his home, in the late 1980's. Babaji is said to have blessed him in his efforts to teach Kriya Yoga all over the world. Babaji gave his "darshan" on the vital plane to the author, M. Govindan, in October 1999, on two occasions. This occurred 30 kilometers north of Badrinath, at an altitude of nearly 5,000 meters, at the source of the Alakananta River. During these visitations, Babaji appeared as a radiant youth, with copper colored hair, clad in a simple white "dhoti" or waist cloth, and allowed Govindan to touch his feet. One cannot really know who Babaji is, or even begin to conceive of his grandeur, without appreciating the culture of the Siddhas from which he has emerged. Rather than seeking an other worldly escape in some heaven, after realizing the presence of the Divine within, the Siddhas sought to surrender their entire being to It, and to allow It to manifest at all levels. They sought a complete transformation of our human nature. "Thirumandiram," by the Siddha Thirumoolar, written in the 2nd to 4th century A.D. in 3,000 gemlike verses, reveals the breath and depth of the Siddhas attainments. Our research has revealed that Thirumoolar was a brother disciple of Boganathar, Babaji's guru, and of Patanjali, one of the most well known sources of Yoga. While most of the Siddha's literature has not been translated outside of their native language of Tamil and Sanskrit, there exist a few good studies, most notably Dr. Kamil Zvelibil's "Poets of the Powers," and Professor David Gordon White"s "The Alchemical Body." Both of these academic works demonstrate at length the remarkable attainments of the Siddhas, and reveal that Babaji was not some unique extraterrestrial. He manifests what Sri Aurobindo referred to and aspired to for all humanity: "the supramental transformation" of our human nature, perhaps the next step in our evolutionary process. As such, he is not our savior. Nor is he the founder of some religion. He does not seek our adulation or even our recognition. Like all of the Siddhas, he has surrendered completely to the Supreme Being, the Supreme Abstraction, and as a divine instrument, brings down into this murky world the clear light of consciousness, unconditional joy and supreme peace. May everyone achieve this greatest human potential. Although Babaji lives in inaccessible heights, far from the teeming multitudes, he is deeply aware of what is transpiring in the world. From century to century, he keeps an eye on struggling humanity — sending his blessings and working to direct open souls to the Light. It is said that one need only speak the name of Babaji with devotion to immediately receive an inner blessing. It is a great blessing to India and the world that this exalted soul has made the Himalayas his home. His mere presence on the planet acts as a spiritual polestar for the whole of humanity. 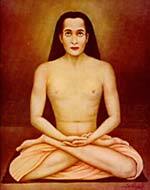 Mahavatar Babaji, a Himalayan mahayogi said to be about 1,800 years old, is the founder of kriya yoga. The world first heard about him courtesy Paramahansa Yogananda's Autobiography of a Yogi. Today, many cults are growing around his enigmatic persona. Mumbai-based Dr Ram Bhosle claims to have lived with him for six years. Legend has it that the remote parts of the Himalayas are home to many rishis, tapasvis and siddhayogis—Eternal Masters engaged in singular methods of sadhana or disciplined practice dedicated to cosmic exploration and in guiding the destiny of humanity through the ages. They live in rough-hewn natural caves under glacial conditions. Some have ashrams amidst verdant greenery, located at a vibrational frequency at variance with the 'normal' three-dimensional one to keep intruders at bay. Their abode has been verily named Shambala, Gyan Ganj, or Siddha Loka. Thus it is that the venerable heritage of Gorakhnath and Machhindranath is claimed for its own by Garhwal, Konkan, Bundelkhand, Mewar and Coorg, and many a little girl in the remotest village of India is put to sleep to the refrain of "Chalo Machhinder, Gorakh Aaya...."
With his lithe and youthful figure, Mahavatar Babaji (whose feats have been reported by Paramahansa Yogananda in his Autobiography of a Yogi) is one such eternal master. He is the man with the 1,800-year-old immortal body. He's also the founder of kriya yoga, a discipline involving purification of the body-mind organism through breath control techniques to aid longevity and spiritual evolution. 'Mahavatar' means 'great incarnation'. He is also known as Mahakaya Babaji, the word 'Mahakaya' describing his immortal body. In some circles the Hare Khan Baba being referred to sounds suspiciously similar to Mahavatar Baba's persona. Babaji comes with sanitized packaging shorn of ash, rudraksha or kumkum tilak. Of course, there have been many Babajis over the decades claiming to be the Mahavatar. There's a free-for-all on the Internet with the various Babaji Web pages multiplying rapidly to a current count of several thousand. Yet, the Self-Realization Fellowship established by Yogananda in California almost sounds as if it holds patent rights over the 'Babaji lineage'. After conquering the West within decades, it's time for Babaji to return home to capture the interest of Indians who are still obsessed with pot-bellied gurus. A new international group called the Babaji's Kriya Yoga Order of Acharyas with a base of sorts in Pondicherry recently held kriya yoga seminars in major metropolitan cities across India. The Babaji they're selling is the same kriya yogi, but he's now positioned in a new Tamil incarnation as Babaji Nagaraj and never mind that he's been a permanent resident of the Himalayas for 1,800 years. The seminar is a casual affair, particularly since the group of two conducting it has no organizational set up. There is very little planning. In two days, you are to learn 144 kriyas or breathing techniques, 18 yogasanas and numerous chants. That's instant evolution. Devote 20 minutes daily to this and you zip past 50 lives' worth of karmic atonement and time! Or so claims the venerable lady acharya from California. The 60 participants in Mumbai are administered a battery of short written assignments, duly checked by the acharya, or head, in the course of the seminar. Gleanings of wisdom pepper the proceedings. Participants are told that Sri Aurobindo was close to attaining an immortal body during his lifetime, but for the fact that he did not practice yogasanas. Thankfully, there's a lot more than that to Mahavatar Baba, who never left the shores of India and who's way beyond the reach of puny intellectual property rights. He's a patriotic yogi and keeper of ancient faith, whose mission for ages has been to stem the tide of barbaric conquerors overrunning India. He has often changed the course of Indian history, guided by otherwise immortal rishis, working way above insidious parochial divisions. Babaji's influence as a guru is said to have prevailed over the ages from Adi Shankaracharya and Kabir to more recent saints like Sai Baba of Shirdi, Gajanan Maharaj of Shegaon and Swami Samartha of Akkalkot. The last three were reportedly firebrand revolutionaries who were given up for dead in the First War of Indian Independence in 1857. It is said that the first was a Muslim, while the other two were Hindus. 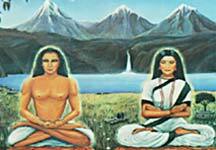 They escaped to the Himalayas for sanctuary and were later given a spiritual initiation by Babaji. They eventually returned as illumined leaders of humanity. One such disciple is an ageing healer, Dr Ram Bhosle, who lives and works in Mumbai. He is a world-renowned massage therapist who has treated illustrious patients like Mahatma Gandhi and Pandit Jawaharlal Nehru, among others. He has witnessed almost the entire 20th century, traveling abroad 160 times. A freedom fighter, he had several arrest warrants issued against him by the British during Mahatma Gandhi's Quit India Movement and was forced to flee to the Himalayas. His escape route cut a long swathe across Maharashtra, Gujarat, Saurashtra, Sindh, Baluchistan, Afghanistan and the Hindu Kush mountains, before he finally reached the Himalayas. It was there that he chanced upon Mahavatar Babaji. He ended up giving massage to Babaji, the latter offering him safe house initially for three months, and ultimately for a period of nearly six years to-date, spread over the intervening period. Dr Bhosle's stories throw considerable light on the immortal master. Once, when the two had taken shelter in a cave for the night, Babaji asked him to go and fetch milk. A fierce snowstorm was raging outside and Dr Bhosle thought the sage had gone mad. But when he gingerly walked a few paces beyond the cave's entrance, merely out of deference to his host, he was surprised to find a pitcher of fresh milk, still warm to the touch, positioned on a ledge! Like great yogis, Babaji can supposedly materialize, dematerialize and take on any form at will. He may choose to present himself as an old man, an animal or a bird. He once promised a devotee that he would attend a feast at the man's house, but seemingly did not. When the man later questioned him, Babaji replied: "I was there. I was the dog whom you fed the leftovers." Babaji can travel anywhere in the universe. When he is too busy to do so, he sends specific instructions to his chosen disciples through birds. He's taught a chosen few how to discern birdcalls, and it may well be that the pigeon stridently cooing at your window is actually a messenger from the great seer! The Mahayogi can be stern when the situation so demands, even while displaying a great sense of humor and rare devilry at other times. He once instructed Dr Bhosle to perform underwater meditation at midnight in the sea off the Mumbai coastline to purify his healing energy. Often, Babaji walked by to supervise his disciple's work, treading on the waves. He would chat for a while, and then walk away nonchalantly. Babaji sometimes greeted his disciple with an unprintable epithet, as is often the custom in youth subcultures around the world. At one time, the ageing Dr Bhosle reacted with considerable anger, remonstrating that such swear words did not befit his status as a mahayogi. Babaji replied: "These words are just creations of grammar." Mostly, the language spoken by the Master is incredibly creative, drawing from a fount of inspiring, lyrical Sanskrit words lending themselves beautifully to new improvisations in Hindi. Interestingly, Babaji's entourage of enlightened and immortal disciples includes yoginis who are over 600 years old. Babaji conveys the impression that he cherishes individuality and thoughtful dissension, rather than servile obedience. Dr Bhosle sounds a note of caution—the masters are suprahuman, beyond the frailties of emotion, and they demand total commitment to the chosen path. It is of greatest importance to follow the light with determination, discernment and detachment. The wise doctor concludes: "There is no such thing in this world as miracles. Everything happens through science. Only a person who doesn't understand science calls it a miracle." The Hindu faith is rich in scriptures but the engine that drives it has always been the guidance and energy of God-realized men. In practical terms, the instructions given by such a guru overrule whatever apparent divergence it may assume from scriptural injunctions. At the current moment, an incredible phenomenon is sweeping the spiritual landscape of India, which proves the truth of the above. This is the sudden rise in prominence of a hitherto almost unknown guru into what can only be described as the Numero Uno position amongst spiritual Masters. This great master is known only as Babaji, a generic term for yogic holy men. He is supposed to have achieved immortality in the physical body, and lives presently in a secluded Himalayan ashram. His job is to oversee all spiritual impulses connected with India's grand and myriad tradition of yoga. He is over 1800 years old but appears as a young man in his twenties. The Babaji phenomenon is marvelously Hindu and demonstrates its instinctual process of evolution. those who believe, no proof is needed." India has always regarded empirical verification as beside the point, trusting implicitly in the veracity of spiritual experiences. From that cultural standpoint, it makes no difference even if each and every one of these sightings are dubbed the products of imagination. As Shaw's Saint Joan retorted when told her voices were only her imagination, "Of course. That is how God speaks to us." Once we accept that qualification, the rapidly ascending influence of Babaji is easy to appreciate and indeed participate in. The presence of Babaji was first announced to the world by Paramahamsa Yogananda in his famous book, Autobiography of a Yogi, in the mid 20th century. It was there that Babaji was revealed as the Great Master who oversees the important version of yoga known as Kriya Yoga. This has become one of the most important forms of yoga in the world today, practiced by millions every day and most of them outside India to boot. Babaji would appear to Yogananda's guru, Sri Yukteshwar, and he was the direct physical guru to Yukteshwar's guru, Lahiri Mahashaya. Babaji was and is considered to have been a great Master in charge of cosmic processes, diligently overlooking the spiritual evolution of mankind. He had a sister called Mataji or Mother, another generic title, who had also achieved immortality in the body. It is now revealed that Mataji is actually his cousin-sister, a relationship that in India is considered as close as the real thing. No real details about who Babaji was were given in the first book. Now an entire army of disciples have emerged to proclaim the greatness of the Deathless One. Many books about him have been written, there is a foundation dedicated to propagating Kriya Yoga and there is even a temple constructed at his birthplace, which, I predict, is going to become one of the most popular sites in India by the end of the century. The following account attempts to harmonize all the strands of the Babaji story, which is very much a work in progress! The Deathless One was born in the year 203 AD on November 30th in a village known today as Parangipettai in Tamil Nadu state. Portuguese traders had a colony there many centuries later and called it Porto Novo or New Port. The astrological conjunctions of the heavens at his birth were supposed to be identical to those of Krishna's birth and portended a great spiritual future. The boy was named Nagaraj, "Serpent King", by his Nambudri Brahmin parents who had migrated from Kerala state. The Nambudris are a community famed for spiritual knowledge and they also produced the great Adi Shankara who is supposed to have been initiated into yoga by Babaji. Little is known about his childhood, as Babaji apparently does not see fit to talk about it. Two incidents however seem to stand out. The first was something that took place when he was only four years old. A jackfruit had been obtained for a family feast, but the young Nagaraj found it unattended and managed to eat it all up by himself, jackfruit being a very tasty delicacy. This by the way is a little miracle in itself, as the fruit grows into the size of a small child when ripe. His furious mother lost her reason for a moment and stuffed a piece of cloth into the young child's throat, almost suffocating him to death. This un-motherly action was a great spiritual revelation to the young child. He found out that he still loved her but there was no longer any attachment or illusion clinging to the love as is common to the rest of humanity. His mother taught him detached Witness compassion and love by this shocking act. When he was five the young child was kidnapped! The man carrying him off was identified as a foreigner from Baluchisthan, of all places, in the present day Pakistan. What was this man doing almost four thousand miles away from his homeland? In those days that area was a Buddhist stronghold, Islam not even in existence. And how did they know he was from Baluchisthan? It is a weird and completely incongruous note in the narrative. In any case, he kidnapped the child and then made a long haul across the country to somewhere near the present day Calcutta where he sold Nagaraj as a slave. First he comes down all the way from Pakistan and then he travels 1500 kms to the east to get rid of his victim; this is one very strange bird indeed. However, the geographical significance may explain why Babaji began to appear with such regularity to spiritual practitioners living in that area. The nameless man who brought the young child Nagaraj soon realized he was dealing with no ordinary human and set him free. The boy joined a small band of wandering yogis as by now he was thoroughly purged of any attachments to people or places and only wanted the experience of God. He spent many years in the classic Wander- jahre of Indian yogis, and soon accumulated a formidable reputation for learning, and as an invincible debater on theological subjects. The more he succeeded the less content he felt, for while he knew, he had not experienced. At the age of eleven, he made a long journey to Katirgama, a sacred shrine in Sri Lanka. He met the first of his great gurus here, the Siddha Boganathar. The Siddhas are a semi-historical, semi-legendary group of yogis who had an enormous formative influence on the culture and religion of South India but especially that of Tamil Nadu. They were the Renaissance men of their time, much learned in many disciplines, compilers of vast volumes, and setting high standards for spiritual striving. Siddha Boganathar had established a Skanda temple at Katirgama which had no image of god but merely a Yantra, an abstract geometric design which is the energy signature of that particular aspect of divinity. The temple still exists. For six months the boy wonder Nagaraj practiced extensive yogic disciplines under the great master. He rapidly experienced the various stages of Samadhi, until a great day when he incarnated the consciousness of Murugan or Skanda within him. Since that day he has resembled a young man, as befits the Kumara [Peur Aeternus - Eternal Youth] form of the god. However, the last accomplishment of Siddha Yoga eluded him, the complete transformation of the organic being by the descent of the divine. Boganathar advised Nagaraj to seek the help of the great sage Agasthya. This worthy is one of the great culture heroes of India, a rishi or seer of the highest possible stature in the universe and his status in the Tamil region is not less than that of a god. Nagaraj made the trip back to India and the shrine of Courtrallam in Tamil Nadu, where there is one of the 64 Shakti Peetams, or Shrines of the Divine Mother, which have special significance. He resolved to stay there in meditation until Agasthya initiated him as a disciple. For 48 days he endured. The body was on the verge of collapse but the will was adamant. The great Agasthya finally appeared and taught him the secrets of Kriya Kundalini Pranayama, a series of meditative and breathing techniques, formidably difficult but capable of awakening the highest levels of consciousness and spiritual enlightenment. Its final aim is the transformation of all five bodies or Koshas, the physical, vital, mental, intellectual and spiritual. Since the energy released by such practices is enormous and even dangerous, his guru advised him to travel to Badrinath, one of India's most ancient and sacred spots in the Himalayas, where for at least four millennia, yogis have been adding to the power of the spot with their meditations. For eighteen months Nagaraj practiced the Kriyas. Finally he entered the unique state of Soruba Samadhi - a merging with the divine that renders the body ageless, incorruptible and immortal. India has many examples of saints who, upon death, become a mass of light and melt away into the ether or into their favorite form of god - it is one of the standard templates of the faith. It is akin to the Rapture, the transformation into light of all the true believers before the End of Days. Even George Lucas uses this belief in Star Wars. Whenever a great Jedi dies, he converts completely to energy that merges with the universe. To bypass this seemingly inevitable end and become physically immortal is Babaji's great achievement. In the great days of Indian mythology, many great rishis had achieved this end, but it was still a rare and spectacular achievement. To pull it off in what is universally regarded as a spiritually degenerate epoch is a staggering, unheard of, achievement. Babaji automatically becomes the most powerful spiritual power on the planet for those who believe. As said earlier, Babaji is reputed to brood over the world like a benevolent mother hen, intervening decisively whenever humanity's stupidity rises to dangerous levels. Almost all spiritual and yogic impulses arising in present day India are credited to him and his silent influence. His sister, who was Nagalakshmi Deviyar in the world, became his disciple and she too achieved the deathless state of Soruba Samadhi. She is also credited with keeping the great master on the earthly plane when he once announced his resolution to quit it. Babaji answered all his disciples' agonized protests with the question, 'Does it make a difference to my work if I am in a body or not?" "In that case," answered the witty Mataji, "please do not forsake the body at all." In a narrative full of portentous seriousness, this strikes an authentic note of humor. It is just how a favorite younger sister would have persuaded a brother. A similar situation had a different ending when the great Buddha hinted, three times at that, to his beloved cousin and disciple Ananda that the Tathagatha could choose to be immortal if he was so pleaded with. Ananda was dense and the moment passed, but he alone of all Buddha's disciples did not attain to Nirvana for his great blunder. Perhaps Babaji was testing his faithful and they obviously seemed to have done better. A third person is now supposed to have made the transition to physical immortality. He is Swami Pranabananda, also known as Dadaji, or Grandfather, and he too was a long time disciple of Babaji in his previous incarnation. This time round he has attained Soruba Samadhi. The Deathless Master looks like a drawn sword in the few pictures of him that have been allowed to emerge. There is not a single curve in that face. Even his hair is straight as an arrow. There is a lean and efficient sense of power that palpably radiates off him. The eyes are extraordinary pools of infinite depth. Babaji is also known as the Maha-Avatar, the great incarnation of god. His sister looks rather like him, though she seems to be taller. Many spiritual practitioners report encounters with one of the Three. It is becoming somewhat normal now, and India always takes such things in her ancient stride with great insouciance. Many books are written about Babaji, there is an organization dedicated to propagating his yoga which also organizes tours to sacred places associated with him, and as I said there is even a temple at his birthplace. The Babaji energy is rushing through an India that seems to be greatly appreciative of it.